The Anchorage Police Department is asking for the public’s help in locating a missing person. 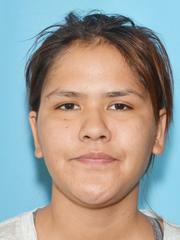 An out-of-town family member contacted the Anchorage Police Department regarding 27-year-old Shirley A. Skeek. The family had not heard from Skeek in over two weeks; there is concern for Skeek’s well-being as she had a medical condition that requires medication. It is believed Skeek does not have the medicine with her. Efforts to locate Shirley have been unsuccessful. Shirley is 5’04” tall, 120 pounds with black hair and brown eyes. Anyone with information regarding Shirley’s whereabouts is asked to call Police Dispatch at 3-1-1 (option #1).